This is the age-old question for marketers. No one wants to be spammy, but lately, there are so many different link building tactics and more advanced options that it’s hard to keep up with what might be considered spammy and what is allowed. Many marketers are unfortunately building spammy links without even realizing it, so it’s important that when it comes to link building you’re always keeping a close eye on the latest industry news. Once you do find out what is considered spammy, the new question becomes simple: How do you build links that aren’t spammy? 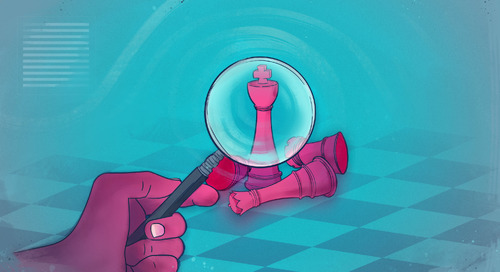 You will find that so many of the tactics you used in the past are a little bit risky these days, so you’ll be scratching your head wondering what to believe and where to go next. Fortunately, moving your strategy toward an accepted approach really isn’t that hard if you just follow these few simple options described below. Before understanding what link building is appropriate, it helps to understand what link building is spammy in the first place. I recommend checking out this article to see a detailed list of link building tactics that will get you penalized but, for now, the basic idea is that you don’t want to be building links just for SEO. Links should be natural and you shouldn’t be contributing guest articles just for the SEO benefits. This has always been the case, but it’s only recently that Google has started to crack down. To give you a little bit of background, Head of Google Webspam Matt Cutts wrote this article back in January that explained that guest blogging was done. He later clarified that multi-author blogs and submitting content to other blogs is OK, it just shouldn’t be done for SEO purposes. Nonetheless, this got the SEO community talking about what constitutes as a spammy link. It didn’t help that Google has been penalizing a great deal of once authoritative link building sites such as MyBlogGuest, PostJoint, and Anglo Rank. There certainly is a little bit of panic going around, but don’t sweat it. Nothing has really changed, you just have to make sure you’re using tactics that appear to be more natural as opposed to wanting a link for SEO purposes, and this means you have to stop using several guest blogging or link building networks. This is probably the #1 way to build links without being spammy. You don’t want to write an article and slip in a keyword as if you were trying to fool Google. 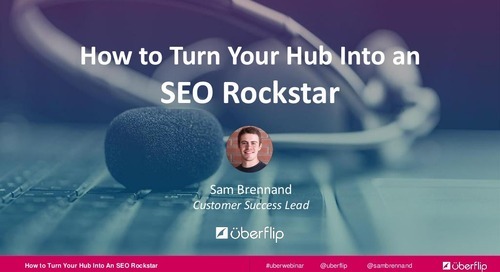 For example, saying “Uberflip.com is a great place for marketing advice” is much better than saying “Uberflip is a great place for marketing advice.” Avoid keyword-rich anchor text altogether—don’t just cut down on using it. Being quoted in an article is about as natural as you can get when it comes to linking. Many people want to have quotes from people in their industry to help improve the article, so make sure they know that you are willing to be quoted. Talk with some of your connections in the industry and let them know that you’d love to give advice and be quoted whenever you’re needed. You might be surprised at just how many people take you up on that offer once they know that it’s there. Many companies guest post in order to earn a link for SEO in an author bio, but Google seems to be catching up to this approach. A great way to change your approach is to quote someone from your company within your article (you don’t even need to have an author bio, and if you do, just don’t include any links). For example, if you’re a writer for a company, talk with your boss about adding in a quote to help give your article more credibility as well as stay in the good graces of Google. You’ll notice that I used this tactic below. Guest blogging isn’t dead, despite what some might be saying, you just might need to alter your methods (a few ways discussed in the above points). One other way to do this is to only contribute to authoritative websites even if you already have several links there. Cut out smaller websites altogether. Continually comment and share content on these sites to help get your name out there. It might be a long process, but it will be worth it in the end. One way to get influential people to notice your content is to mention them on social media whenever you share your piece. The more they get notified of your content (and especially if they are mentioned), the more likely they are to go back to your blog and check out more. Connections and relationships are going to be everything. 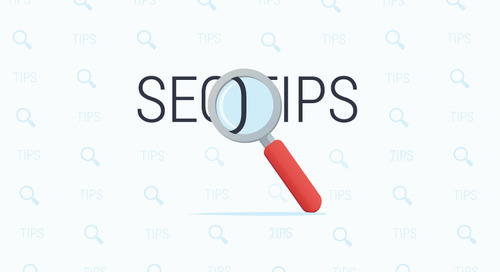 According to Scott Langdon, Managing Partner of HigherVisibility, “If you aren’t sure whether or not link building tactics you’re currently using are still acceptable, it’s important to take some time and consider whether or not the Google bots will see that as a link specifically for SEO purposes. You might not be getting penalized now, but that doesn’t mean you should keep doing what you’re doing.” Google has been putting a heavy focus on link building this year, so it’s safe to say that things could change in the future. Do you use any link building tactics that work well and are not considered spammy? Let us know what we missed in the comments below. Amanda DiSilvestro gives small businesses and entrepreneurs SEO advice raging from keyword research to local SEO strategy. She is the online content editor and lead writer for Higher Visibility, a nationally recognized SEO company that offers a wide range of SEO services to companies across the country. 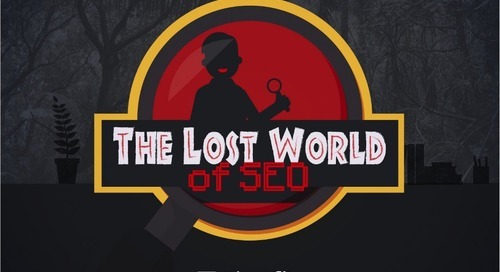 An SEO primer for anyone who wants to start learning about search engine optimization. Want more marketing tips, trends, and insights? Digital accessibility translates to more website traffic and better SEO. Use these digital accessibility tips to create web content, email marketing and social media posts that are accessible for all. To achieve true SEO authority, marketers must venture off-page. 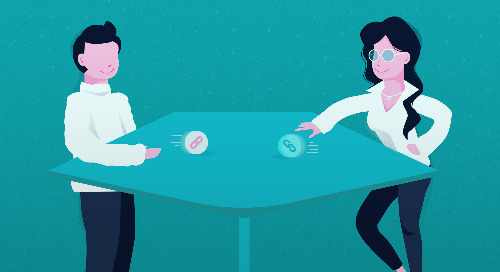 Find out how to successfully improve SEO with link swapping. SEO is so much more than keywords. In this blog post, you'll discover the key elements of B2B SEO. Check out 3 SEO tips and tricks that all content marketers should have in their SEO strategy from Orbit Media's Andy Crestodina. 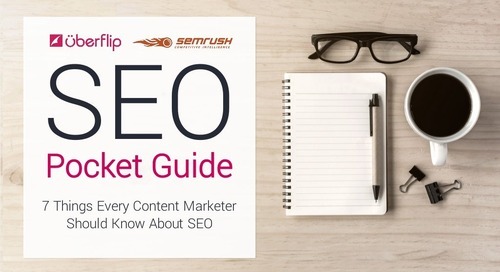 SEO should be top of mind for every content marketer. Take a look at 7 tips that industry experts – like Lee Odden, Andy Crestodina, and Kelly White – have to say about what you need to know. 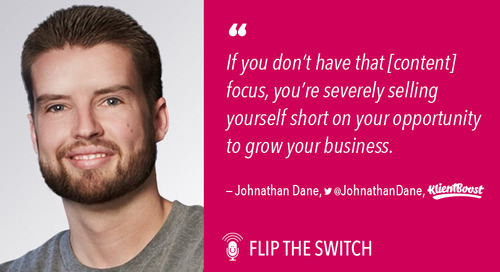 Learn everything you wanted to know (and more) about PPC from Johnathan Dane, Founder and CEO of KlientBoost. This post covers the seven essential skills to have in your content marketing toolbelt. They include: storytelling, a journalist's eye, basic SEO knowledge, writing clear and concise, and more. 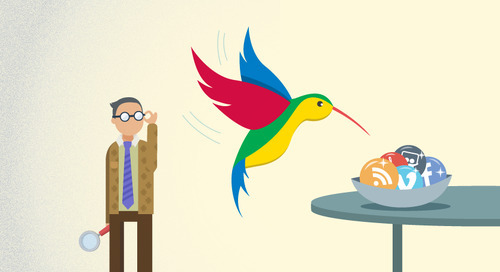 Stay ahead of the competition by creating quality content that's search engine friendly. Your SEO consultant's "expertise" might be hurting more than helping. Here's why your marketing strategy needs to focus on creating quality content to get the search results you want. SEO is no longer about keyword stuffing and spammy link building—it’s about creating helpful content for humans, not search engines. 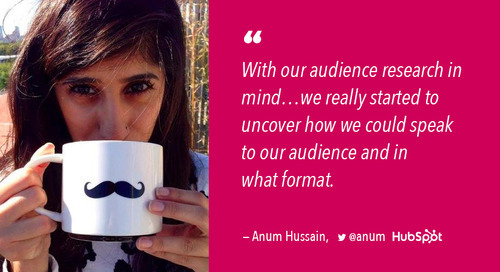 Learn how Anum Hussain, HubSpot's Senior Growth Marketer, leveraged content, email, and SEO to kickstart the growth of Sidekick. 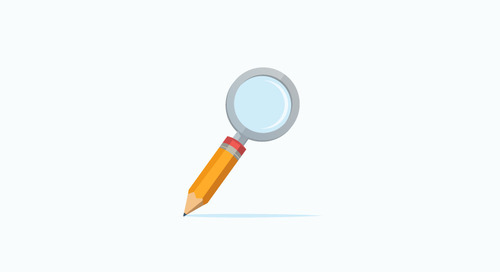 How should you go about improving your content's search rankings? 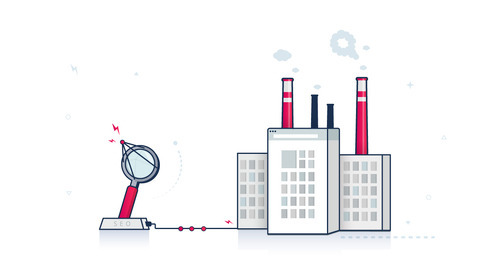 We've got 5 easy fixes to instantly improve your SEO. Our Hub’s monthly organic traffic grew 4x this past year. How did we do it? 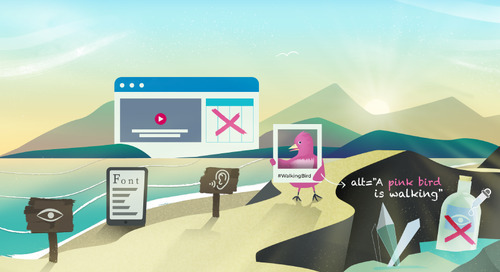 Clever content, search engine optimization and a little magic. But, mainly SEO. Thinking of outsourcing some of your marketing efforts? 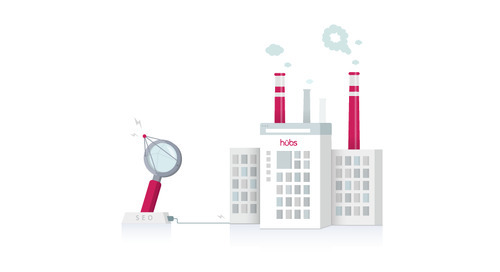 How to tell if you need an SEO agency or a content marketing agency. PPC, SEM, promoted tweets, Facebook ads, Google AdWords, and more — a paid search primer to help you make the most of your marketing budget. These 7 SEO mistakes can make a big impact on your search rankings. What they are and how to fix them.